Two colors of vinyl in fun color combinations that are great for school: Aqua/Mint, Dark Purple/Pink, Aqua/Dark Blue. Clear overlay lets you customize your binder cover. Four interior pockets help you organize more of your stuff. Gap-free, slant rings hold up to 25% more sheets than same size round ring. Back mounted rings allow pages to lie flat. 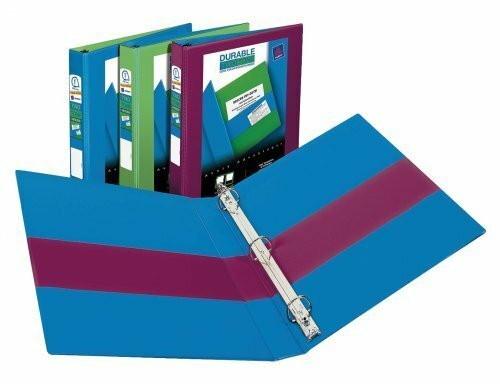 Holds 8-1/2" x 11" sheets. 44% post-consumer content.